For the summer of 2016 I interned at a large publishing company in New York called Rodale, the publishers of Organic Life, Women's Health, Men's Health, and Prevention. I worked under the lead designer in the Specials department which dealt with outside clients. 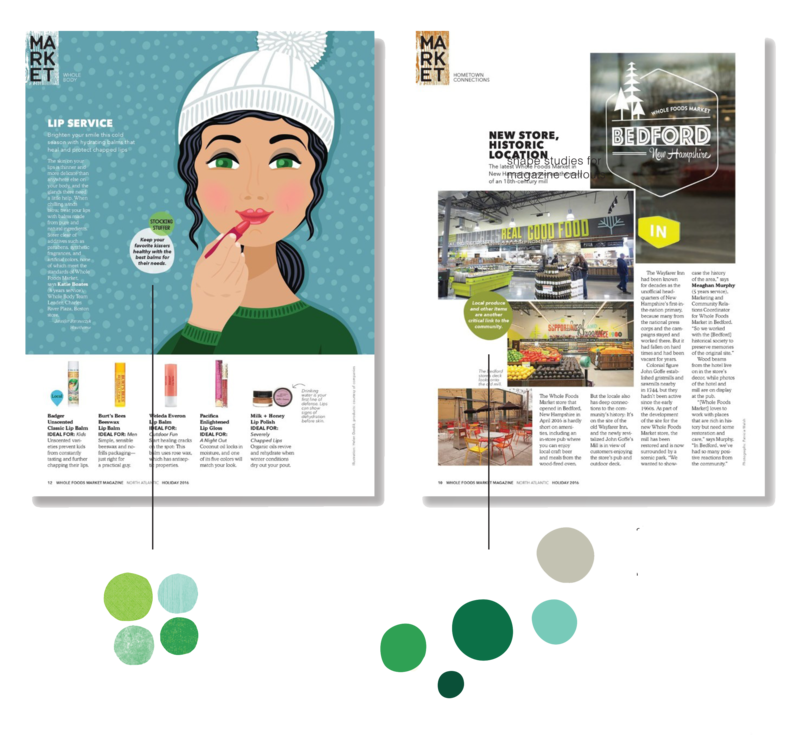 Our client at the time was Whole Foods who was preparing thier annual Holiday Magazine. 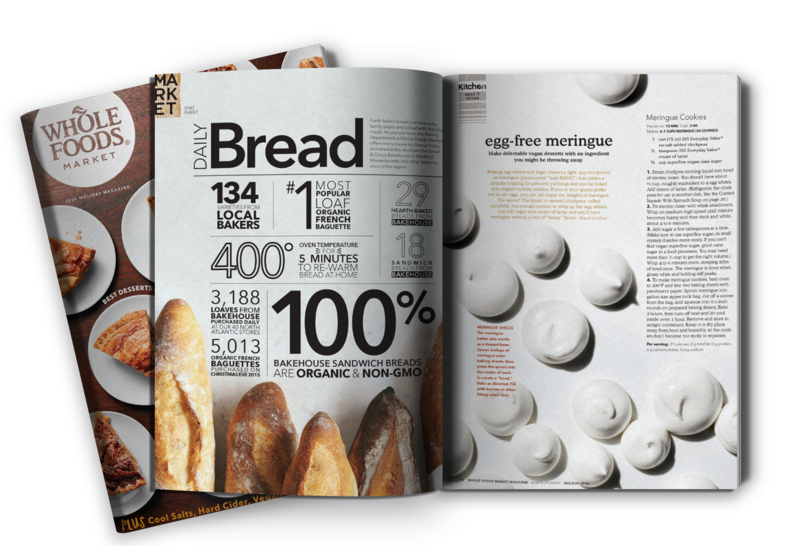 I attended food shoots and worked on two pages in the magazine, one dedicated to bread statistics of Whole Foods and the other, a meringue recipe. 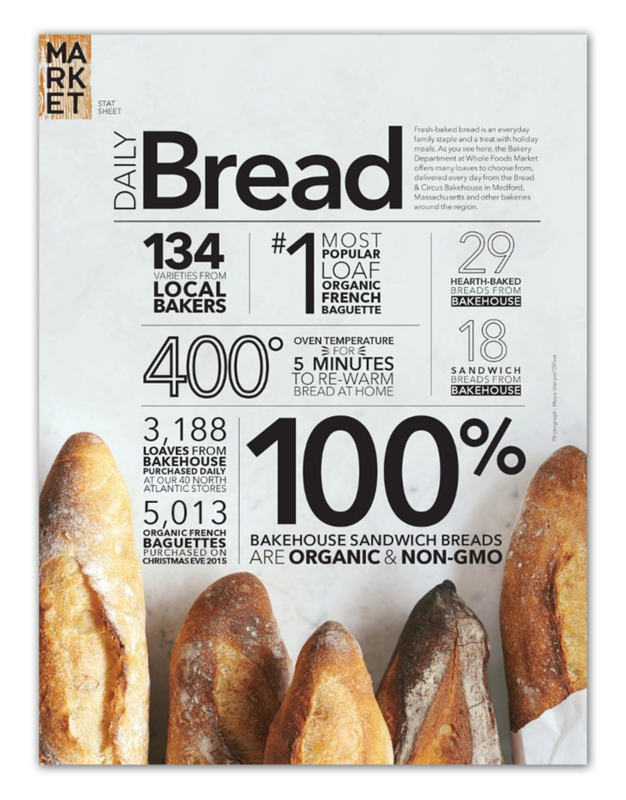 I helped match the different advertisements to each page and also worked on a small motion graphic for Whole Food's Facebook page. I additionally created small assets and brushstrokes for the lead designers to use throughout the magazine.